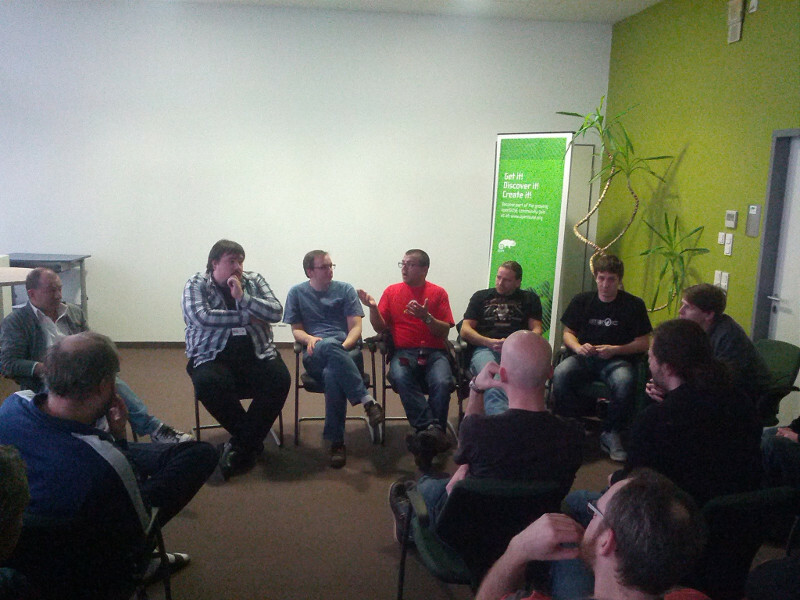 The openSUSE Board has pleasure to announce the minutes from Face to Face Board meeting that happened in February 7th to 9th, 2014 in Nuremberg. Please read carefully and see how it was productive. Thanks to SUSE for hosting the meeting and thanks to those meeting withÂ the board over the weekend for taking the time. There are plenty of opportunities to help the project. The booth boxesÂ are right around the corner and with this a reboot of the advocate andÂ local coordinator effort. We have also reach agreement to re-instate the reimbursement of locallyÂ produced materials. We’ll create some guidelines and a new team needs toÂ be formed. We hope that with some modification to the TSP app bothÂ reimbursement streams can be handled in a similar way. « oSC14 – The openSUSE Travel Support is open!